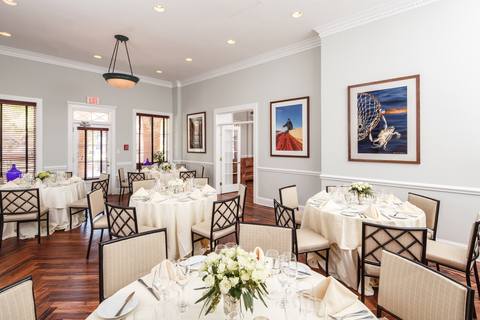 The Tidewater Inn is the perfect venue for your next corporate event on the Eastern Shore. 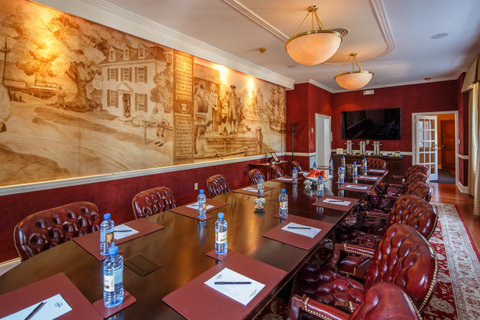 Conveniently located less than two hours from Washington DC, Baltimore, Wilmington and Philadelphia, our Inn is ideal for board meetings, executive retreats, incentive travel and large corporate events. The Inn’s experienced conference services managers will assist in creating and executing an event of any size and complexity. We invite you to select from an array of venues that will accommodate the most casual or formal events. Our John Moll executive board room features a custom oak board room table, luxurious executive chairs, large windows and exquisite artwork. Audio Visual capabilities include a 60” plasma screen, conference phone and wireless and wired internet access. 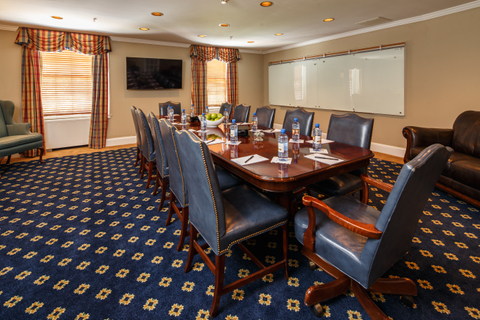 The Talbot Room features an exquisite wood boardroom style table with executive leather chairs. State of the art audio visual capabilities with smart TV, charging stations and over-sized white board. Our newest private event venue the "Dover Club" was unveiled in April 2016. Featuring a contemporary, modern venue with a private entrance off Dover Street. 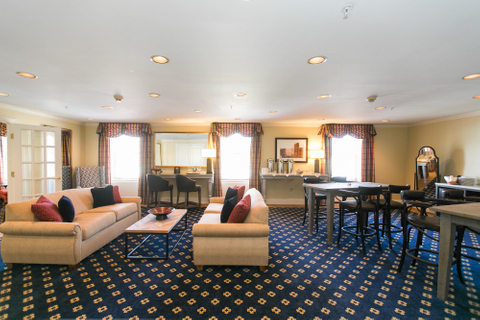 The Dover Club features a coffer ceiling, ceramic tile flooring, drum chandeliers, private restroom and 75" flat screen television. The Oxford Room features creamy neutral tones, traditional lighting fixtures and ample natural light overlooking East Dover Street. The Oxford Room is paired with our library just off the lobby which is a perfect setting for a cocktail hour. 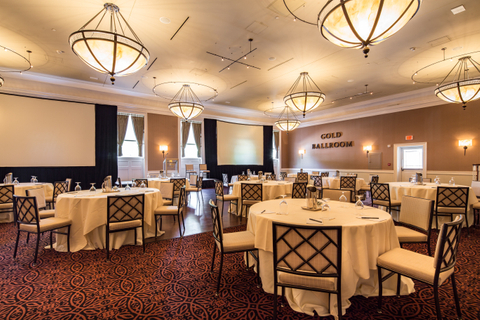 The Gold Ballroom is the perfect setting for the grandest events while maintain a warm ambiance. The Gold Ballroom is paired with the Gold Ballroom Garden, a beautiful sail cloth style tent and courtyard ideal for cocktail receptions or summer crab feasts. 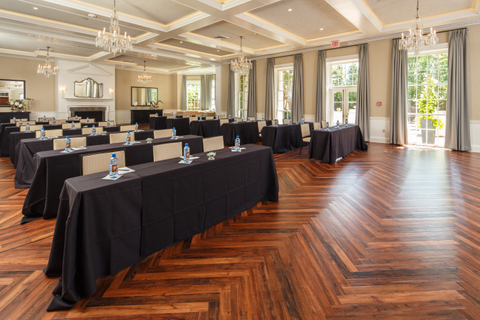 An ideal venue for a mid-size event, the newly renovated Crystal Room is located on the first floor of the Inn and features a neutral color palette, floor-to-ceiling windows with custom drapes, a warm fireplace and crystal chandeliers. 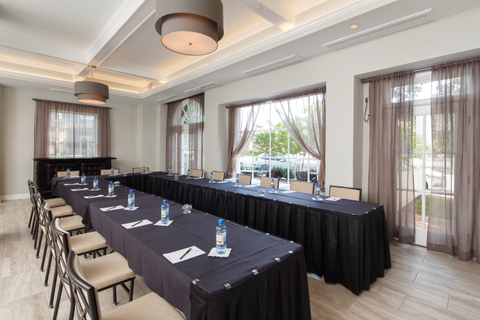 Our Chesapeake Room was renovated in April 2016 and is an ideal venue for a corporate Hospitality Suite or satellite registration. Please contact us or complete a request for proposal.